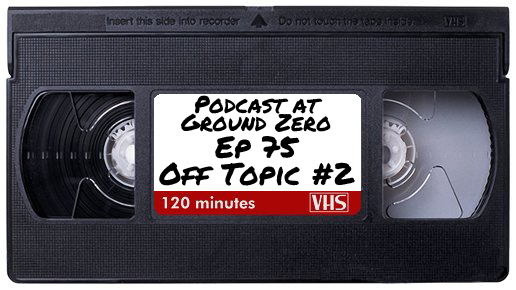 For the 75th episode of Podcast at Ground Zero the umm “topic” will be again Off Topic. Join us for the second installment of Off Topic were we will continue to rant and rave endlessly about whatever floats our post-apocalyptic boat. The Off Topic episode is essentially all the stuff that we usually talk about at the start of a regular episode but not related to the topic of that episode.